ever find your knitting in a knot? your jargon know-how falling short? or your elf hats running out fast? We'll untangle, decipher and finish knits fast, together! Exclusive access to lots of knitty loving! A new members-only course is ready and waiting for you. Releasing one module at a time, you won't be able to get this anywhere else. 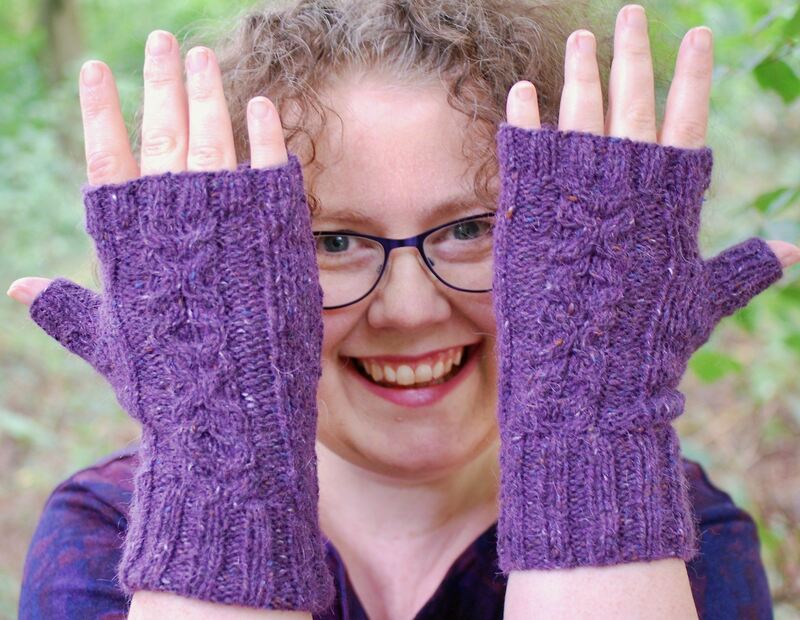 Teaching about Yarn Substitution, Planning and Finishing Your Knits, Sustainable Knitting and Reading Patterns, this course will support you every time you pick up your yarn and needles. Also inside you'll find monthly challenges, live online knit and natters and a friendly Facebook Group. 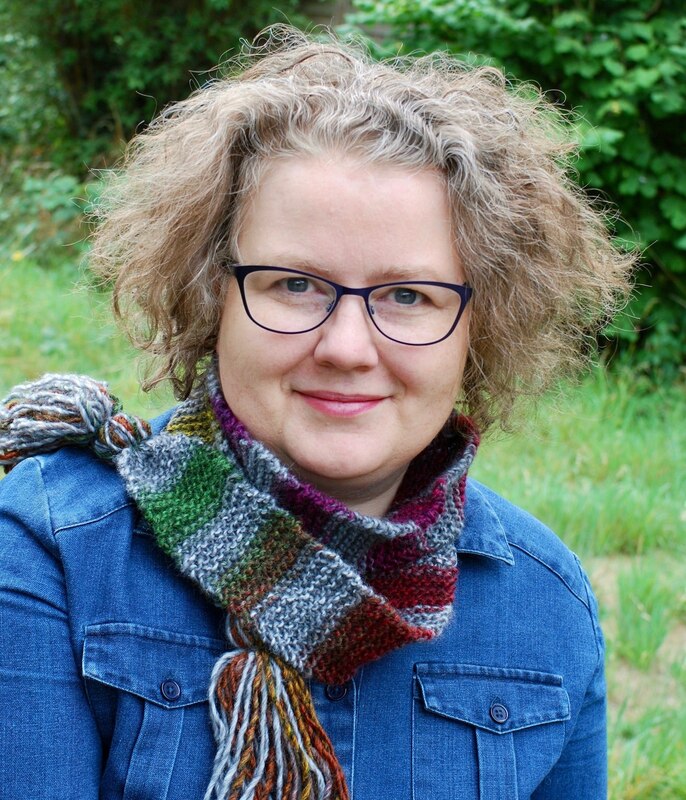 Learn more about me, my inspirations, my favourite knits from over the years, and what it is that fuels my approach to teaching and designing. 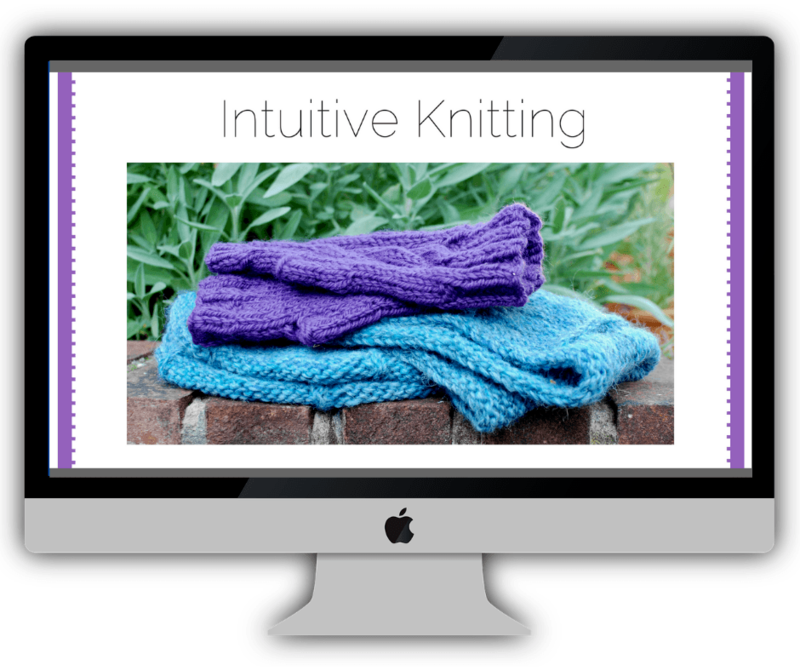 Learning to knit with online courses means you can knit when it suits you. You can knit through your lessons on Saturday mornings, Wednesday evenings or every day on your commute to work. 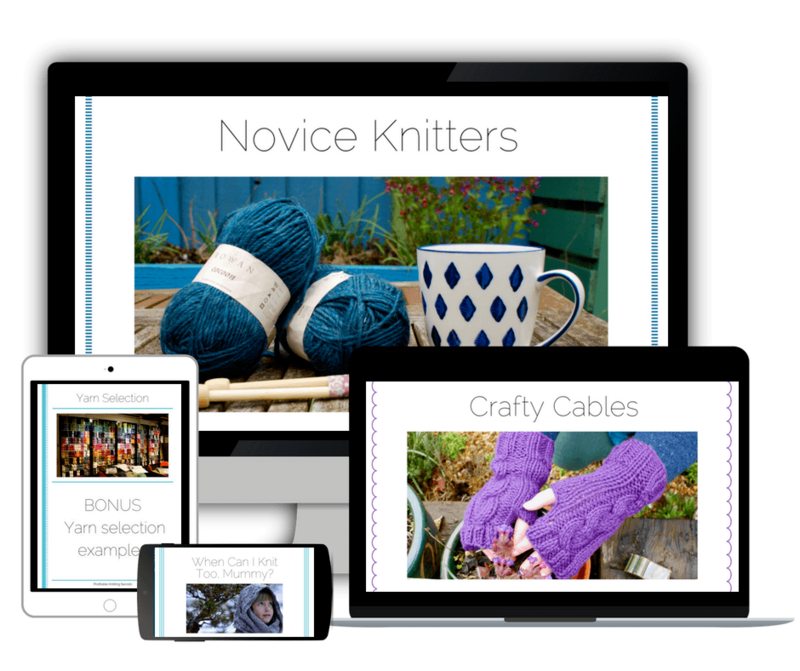 Join the Novice Knitter courses, learn some Crafty Cabling and Lace Wizardry. 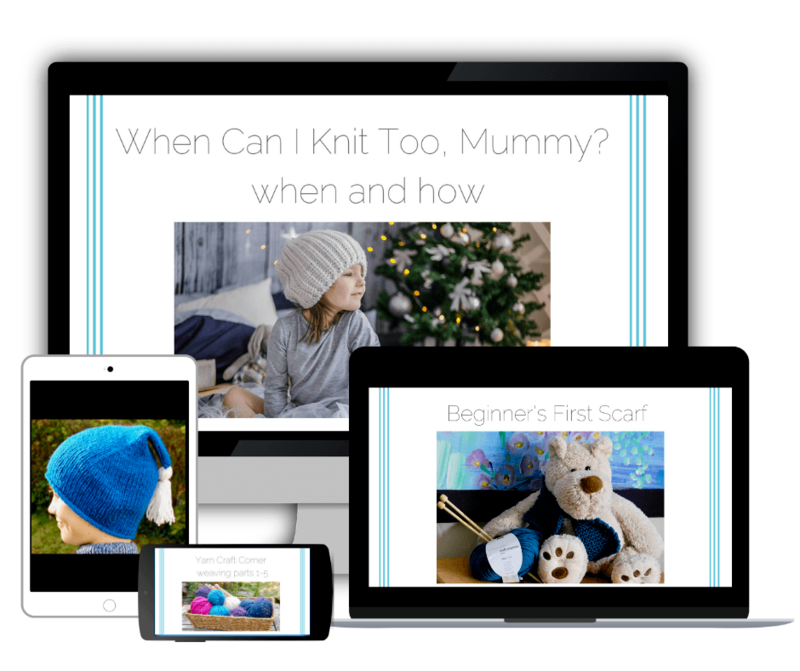 Or start to sell your finished knits with Profitable Knitting Secrets and teach your child to knit with When Can I Knit Too Mummy? New for 2019.... When Can I Knit Too, Mummy? Ever had that question ringing in your ears? I'll help you teach your children to knit, rather than relying on videos, workshops after school, or your neighbours. See more about When Can I Knit Too, Mummy? Discover A New Knitting Technique in 48 hours! 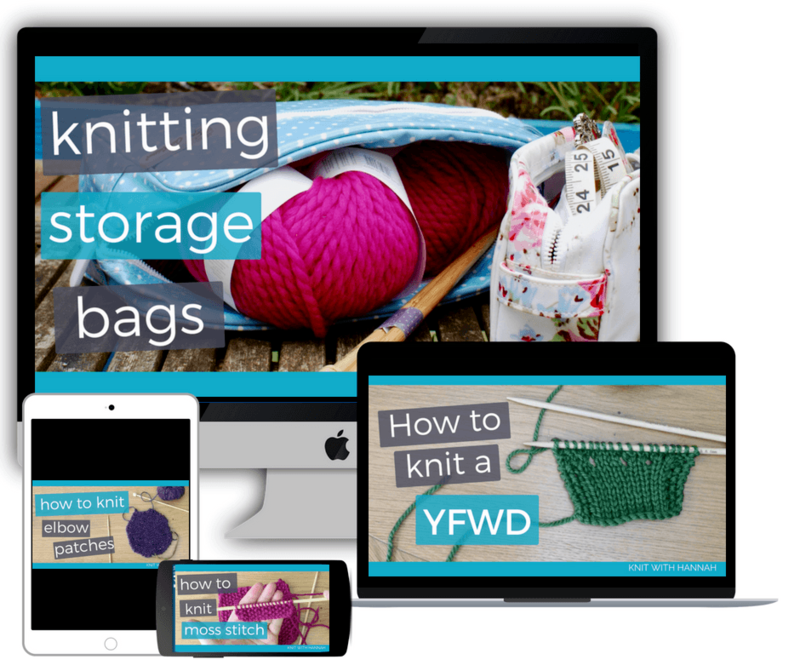 With a set of step-by-step videos you're able to fit a new technique in your knitter's toolbox easily and quickly, make a dent in your yarn stash and set up your gift list for Christmas. "I learned some basic stitches on youtube but I really feel empowered as I start through the video lessons! For beginners and experienced, alike! You'll find demos and suggestions, along with yarn reviews, knitting jargon explanations and even yoga for knitters! Explore the new pattern shop and knit all you need for all the family. Opened in October 2018, you'll find ladies and children's knits and as the weeks go by more and more, for boys, men, babies and home will be added. 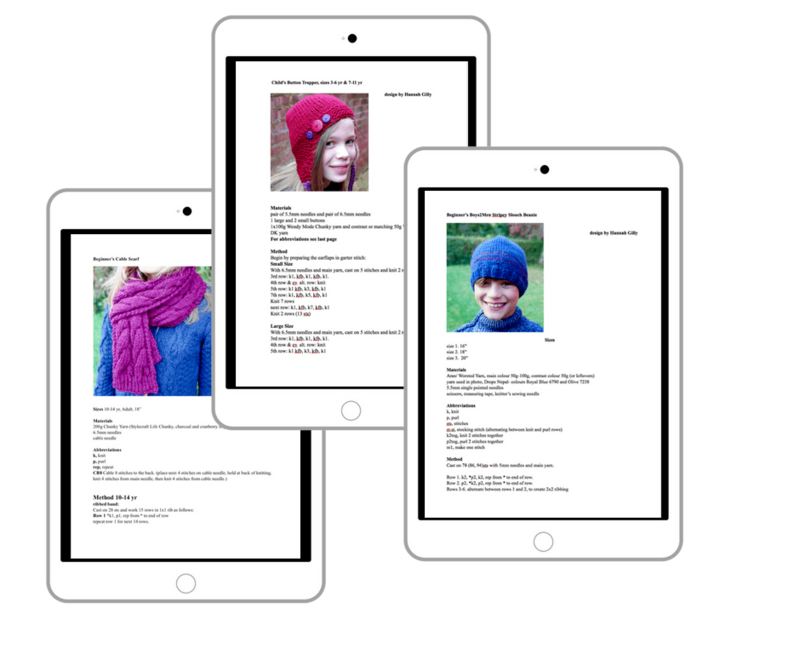 Easily downloadable from your Knit With Hannah digital library, you can print or follow from a mobile device, and knit along with your latest favourite on Netflix, your current Audible love, or while you sip your glass of Pimms while relaxing in the garden. 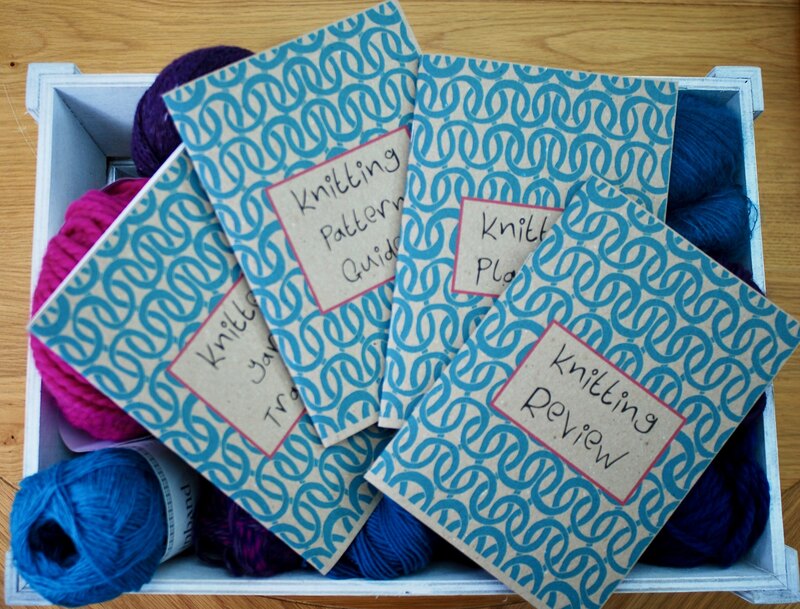 Newly available from the Patterns Shop, these notebook will help you plan, review and keep track of your knitting as the months go by.